Forbes lists the Top Richest People in India and published it through its Forbes Magazine every year. It released a list of Best Riches People in India in 2013 putting Mukhesh Ambani on the top of the list. Even thought the Indian economy is growing over 7.5% on an average every year, about 20% of the wealth is lost by these people and following are the list of Top 10 Richest Person in India in 2013. Sunil Bharati Mittal is the Chairman and CEO of Bharati Enterprises which is a telecom, retail, financial and Agri Business Company. It is the India’s telecom company and is also fourth largest mobile operator with its operations in more than 20 courtiers all over Asia and Africa. 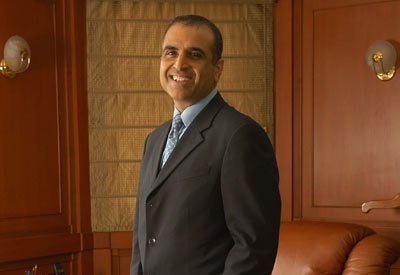 Sunil Mittal was born in the year 1957 in Punjab and his father had been Member of Parliament and Rajya Sabha from Punjab. Mittal started his business in the year 1976 at the age of 18 with an investment of 20,000. He was the first person in India to identify mobile telecom business as a major growth and successfully bid one of the mobile phone networks in the year 1992. He launched services in Delhi in 1995 under the name Bharti Cellular Limited with services offered from Airtel. 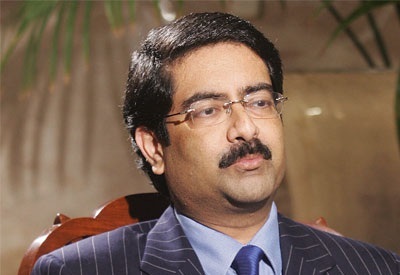 Kumar Mangalam Birla is the chairman of Aditya Birla Group and is third largest corporations in India. He is fourth generation member of Birla family from Rajasthan and he was born in the year 1967. He spent all his childhood in Kolkata and Mumbai and completed his graduation from University of Bombay and MBA from London Business School. He took the responsibility of the company in the year 1995 at the age of 28 after the death of his father. He expanded his business to telecom, software, bpo etc keeping his position top in the existing business. He is married to Neerja Birla and she takes care of oversees Aditya Birla World Academy school started in Mumbai. Adi Godrej is the chairman of Godrej Group at present and is also the head of the Godrej family born in the year 1942. He is one of the richest Indian and is also major supporter of world wildlife fund in India. He completed his MBA from MIT Sloan School of Management and returned India to join the family business. He took the Godrej Group to the top position and under his leadership many philanthropic activities are been involved by the group. 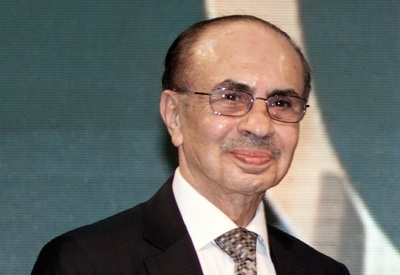 Adi godrej is also elected as the president of Confederation of Indian Industry in the year 2012 as is also awarded “ The Enterpreneur of the Year” in Asian Awards. 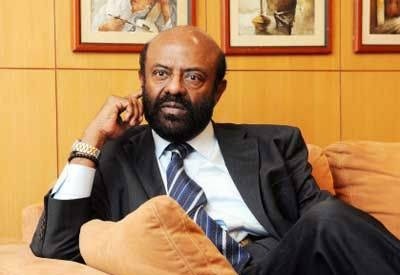 Shiv Nadar is an industrialist and founder of HCL, Shiv Nadar Foundation and was born in the year 1945 in Tamil Nadu. He is one among the wealthiest person as of 2013 with 10.2 billion US dollars and also awarded Padma Bhushan award for the efforts in IT industry. He also focused in introduction of educational system in India through his Shiv Nadar Foundation. He also takes an active role in college activities and also gifted 1 million worth of HCL shares to SSN College of Engineering, Chennai which was introduced by him. 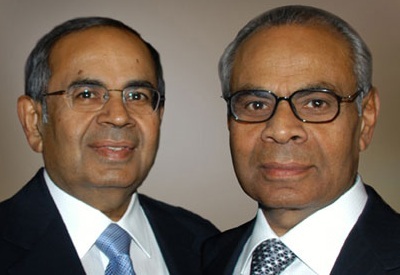 Hinduja Brothers are among the Top Millionaires in India and Srichand, Gopichand Prakash and Ashok are the four brothers taking control of Hinduja Group. Hinduja got its presence in more than 37 countries with diversified business ranging trucks, lubricants, banking and healthcare. The company was founded in the year 1914 by Parmanand Deepch and Hinduja with its first international operation in Iran in 1919. Srichand and Gopichand moved to London in the year 1979 for developing their father business. The company is considered as the largest diversified groups in world spanning all the continents. 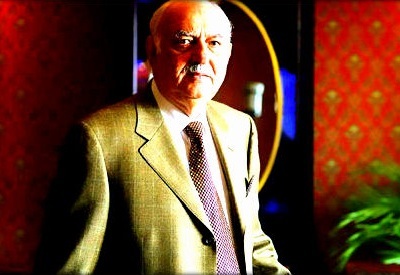 Paloonji Mistry born in the year 1929 and is also the chairman of Shapoorji Pallonji Group. According to Forbes estimations, the wealth of the company is about 9.7 US dollars and is also the single largest shareholder in India in Tata Group. Construction Limited, Forbes Textiles and Eureka Forbes Limited are owned by Shapoorji Pallonji. Mistry is also a low profile billionaire who never gives interviews and is person seen rarely in public. 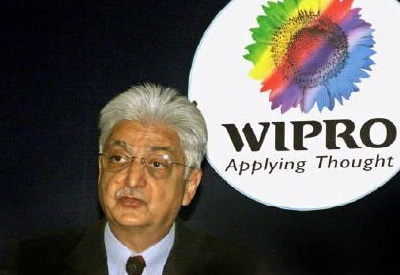 Azim Premji is the chairman of Wipro Limited born in the year 1945 in Mumbai. He is an Indian tycoon and also philanthropist and striving hard from 40 decades to emerge as one of the Indian leaders of software industry. He was listed as one among the 100 Most Influential People by Time Magazine twice and is also voted as 20 most powerful men in the world. After the death of his father in the year 1967, he took over the in charge of the company and started his focus in hair care soaps, lighting products and hydraulic cylinders. He recognized the emerging of IT technologies and started the services in IT field with introduction of minicomputers with help of American company Sentinel Computer Corporation and then made a strong focus on software industry. 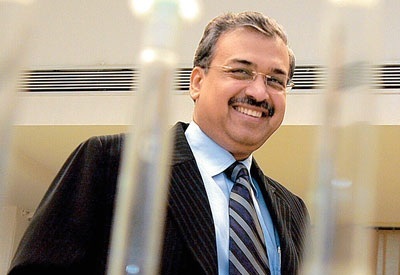 Dilip Shanghvi is a managing director of Sun Pharmaceutical Industries Limited born in the year 1955 in Mumbai. It is the second largest drug maker in India and as of March 2013, the company reached revenues of about 120.05billion Rupees with 72% of income from international markets. It has the largest presence in US compared to other companies and is the 5th largest Indian company in US.Shanghvi had his Bachelor of Degree from University of Calcutta and is alumnus of J.J. Ajmera High School and Bhawanipur Education Society College. 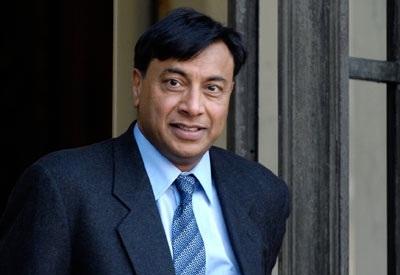 Lakshmi Mittal is the chairman and CEO of Arcelor Mittal which is also the world’s largest steel making company. He was born in the year 1950 to an Indian business family in Rajasthan. He was ranked as one among the richest person in India by Forbes in the year 2013 and he is also the member of board of directors of Goldman Sachs since 2008. He also actively participates in social welfare activities and donated £15 million to Great Ormond Street Hospital in London in the year 2008. 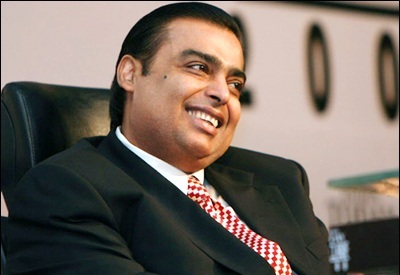 Mukesh Ambani is the chairman of Reliance Industries Limited born in the year 1957. It is the second most valuable company in India and holds 44.7% stake in the company. He is the elder son of Dhirubhai Ambani and ranked 37 in the list of “World’s Most Powerful People List – Forbes” in the year 2013. He is also the 19th richest person in the world with a wealth of 19.6% billion dollars and is also the richest sports owners in the world. He also took up the position as the board of director if Bank of America Corporation and advisory of Council of Foreign Relations in India.